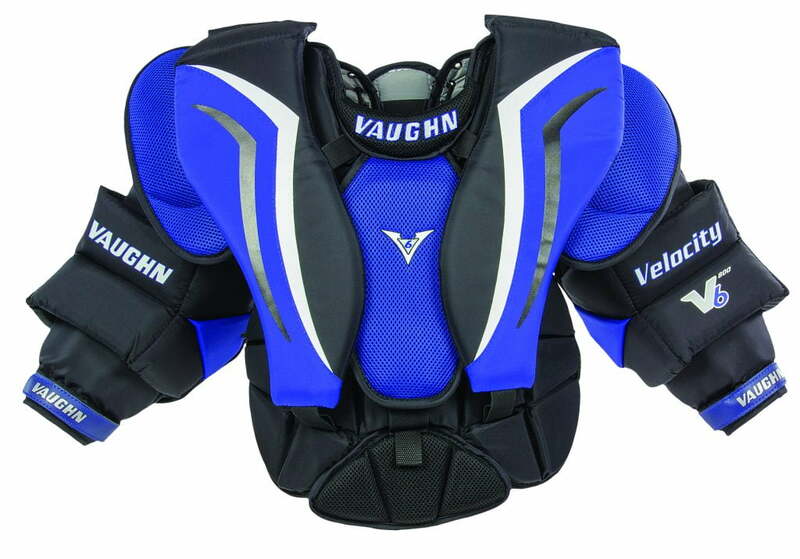 Vaughn Velocity V6 800 Jr Chest & Arm Pad | Sports Etc. The Velocity 800 chest and arm protector has high density chest pad blocks, which allow for easy flex and increased protection. The pad also has a large plastic reinforced sternum plate to increase protection coverage.